Wellness Ball is an exercise ball composed of high quality materials that guarantee perfect stability, grip and softness during exercises. The innovative blend composition is also anti-bacterial, guaranteeing safety in the exercises and a fitness ball that lasts over time. 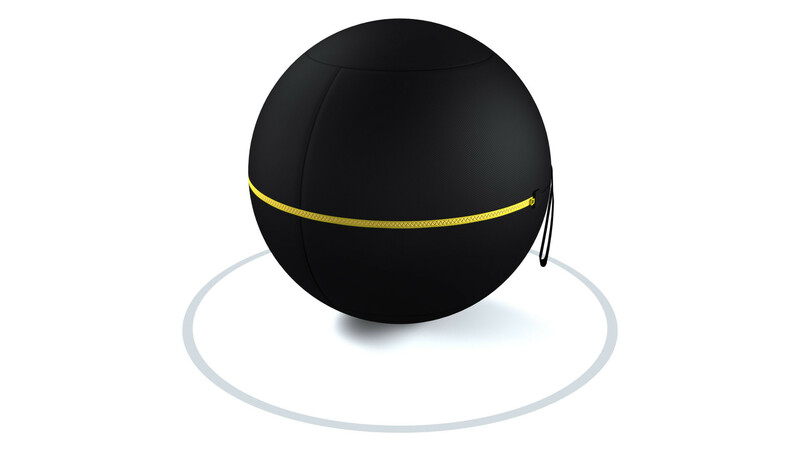 The exercise ball offers a multitude of ways to train including stretching and muscle relaxation exercises. 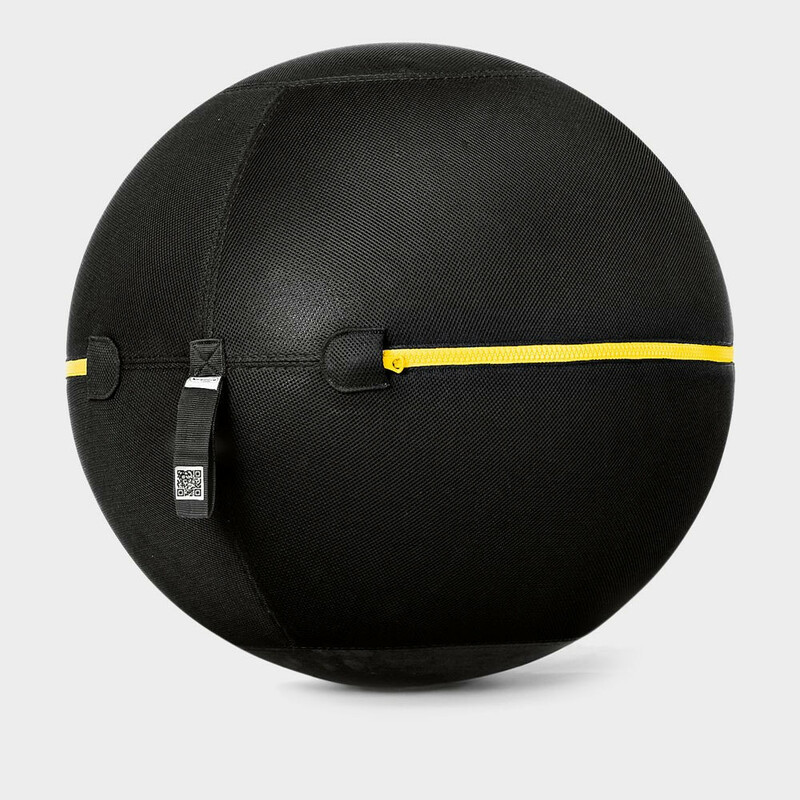 The destabilizing effect given by the form of this gym ball will help to improve core stability and at the same time the use of all the muscles of your body, improving balance, posture, strength and muscle elasticity. A manual in the kit provides many gym ball exercises, which help guide you to perform the most correct exercises for abdominal, back, leg, and trunk muscles. Detachable shoulder Pricing is inclusive of VAT, 2 years warranty and delivery. The Wellness Ball™-Active Sitting is a high-end product that adds a stylish touch to every home and office, where users can work or rest in comfort while training their back and core muscles for better posture and stability at the same time. With Wellness Ball™- Active Sitting, your back actually performs a series of micro-movements that improve the spine-stabilising action of your abdominal and lumbar muscles. It allows you to effortlessly perform stretching, muscle strengthening, toning and elongation exercises in a small space. Specially selected materials guarantee stability, adherence and a soft surface finish. 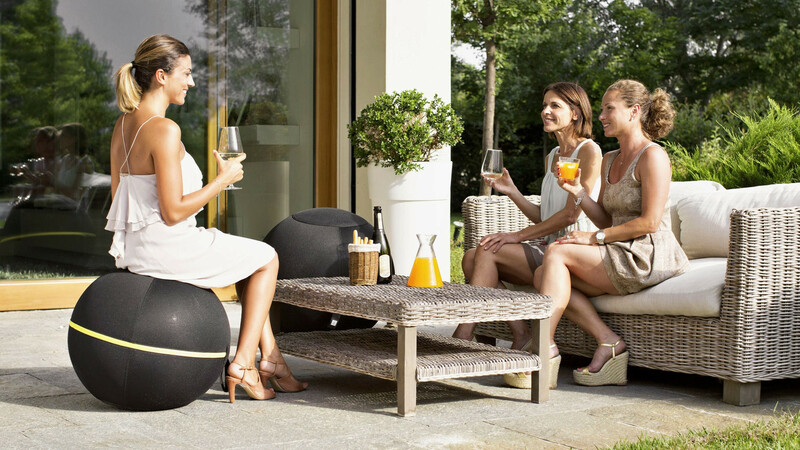 Wellness Ball™ Active Sitting is burst-resistant certified for extra safety and its special mixture ensures slow, controlled deflation if it’s punctured. The ball is 100% made in Italy from high quality PVC and vinyl, both suitable for recycling. It’s also phthalate-free, latex-free and complies with strict European safety regulations. The zipper allows you to easily remove the cover in order to make sure it is properly inflated. When the zipper is fully extended, the Ball is inflated to the correct pressure. The cover is made of multilayered fabric, with a support lining and breathable, anti-bacterial honeycomb material, typically used in running shoes. It can be machine washed at 30°C to guarantee the greatest level of hygiene. The lower part of the Ball is made of high-density material for greater stability and to prevent it from rolling around, ensuring more safety. And a specially developed material is used on the underside to prevent slipping (patent pending). 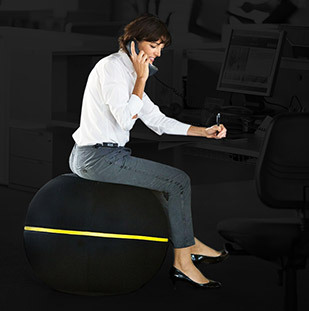 Wellness Ball™ - Active Sitting has a diameter of 55cm. This is a suitable size, also when being used at a desk (based upon an average desk height of 70cm). 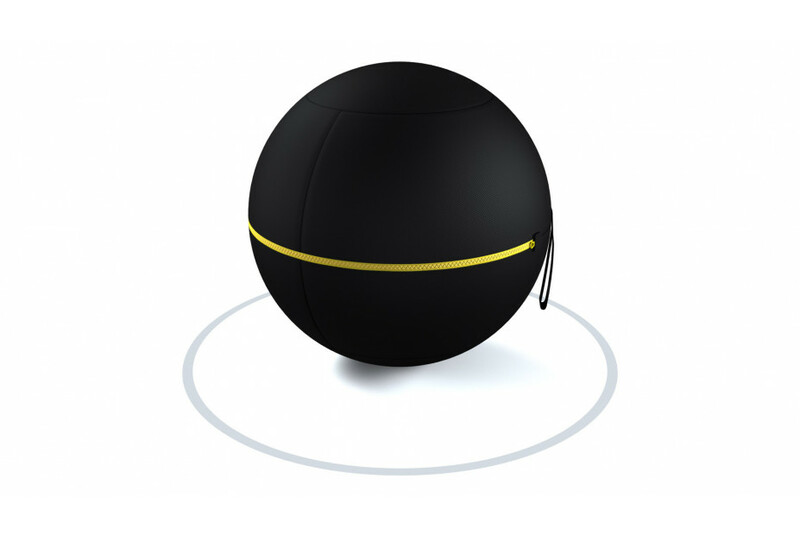 Want to know why WELLNESS BALL™ ACTIVE SITTING 55 cm gives you the best training experience?